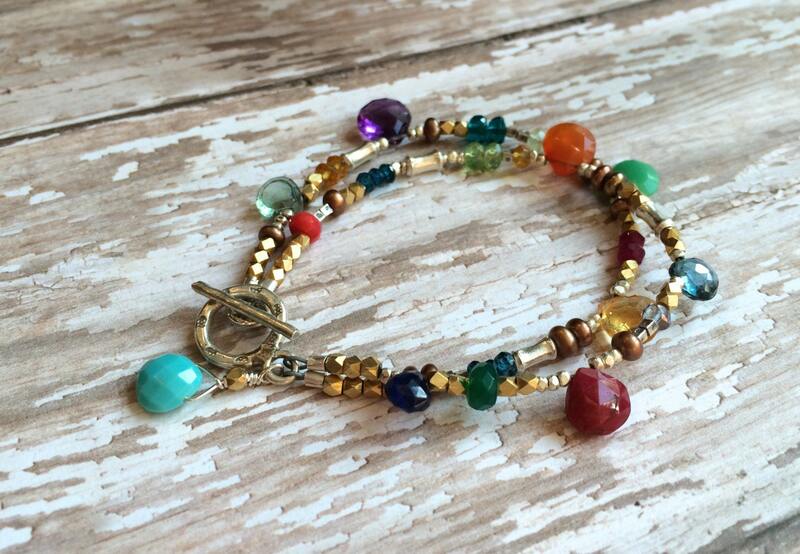 This artisan bracelet is two strands of brilliant gemstones nestled between silver and brass beads. Gemstones include London Blue Topaz, amethyst, ruby, peridot, chrysophrase, emerald, apatite, green and blue turquoise, freshwater pearl, citrine, coral, carnelian, Peruvian blue opal and quartz. 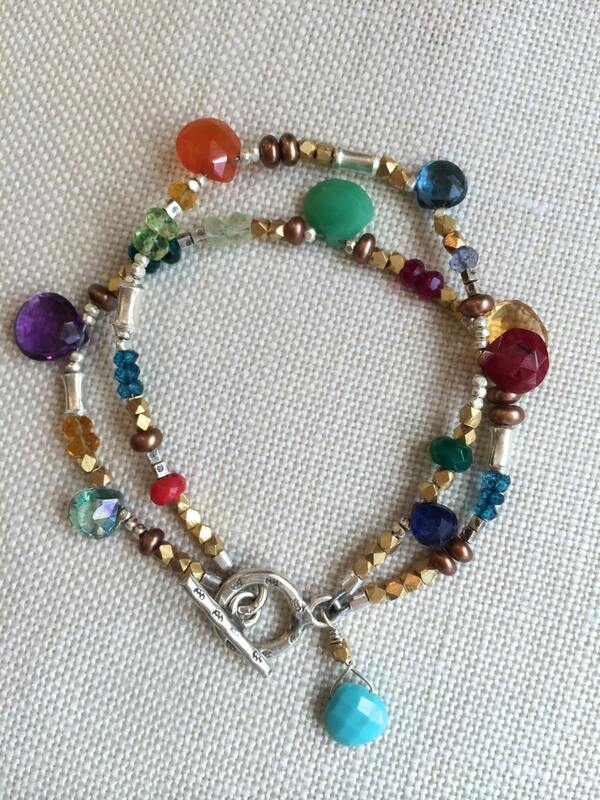 Notice the briolettes that provide such a pop of color on this bracelet. The gemstones are of incredible quality and clarity. You'll spend hours just gazing at your wrist! 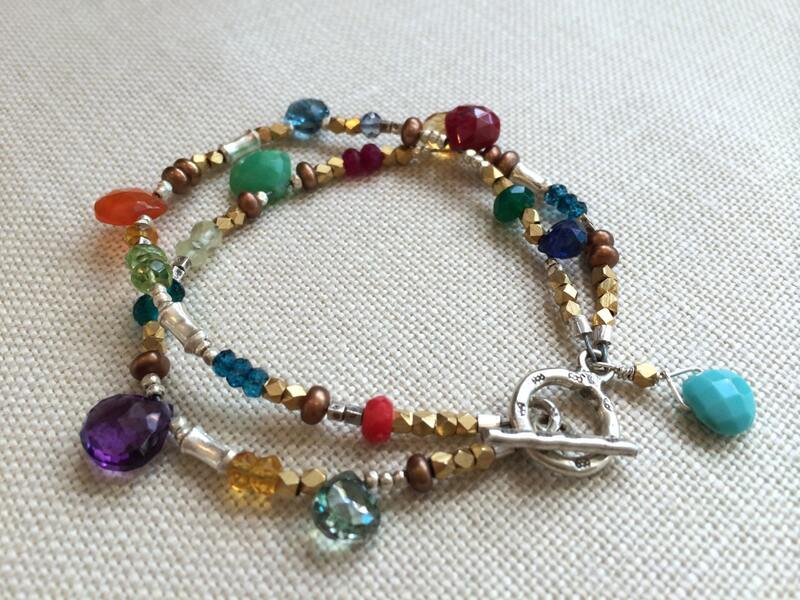 A Thai silver toggle completes this bracelet and it's sure to be worn over and over again.